Hello! How we livin’? I’m thrilled to be back in my hometown of Seattle and working for KING 5 as a reporter on KING 5 Mornings since April 2018. I grew up in Seattle, it is home for me. I moved away in 2012 to pursue a degree in communications, and am a proud graduate of the Edward R. Murrow College of Communication at Washington State University (Go Cougs! Yeah, I said it!). 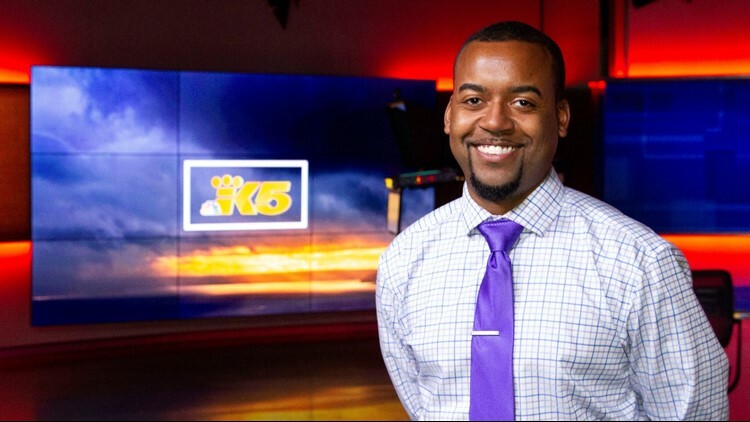 After graduating from there in late 2014, I moved up to Spokane where I worked for the CBS affiliate, and KING 5 sister station, KREM 2. They took a chance on me when no one else would, and I am forever grateful. I wore many hats at KREM and seized every opportunity both behind and in front of the camera to make me an overall better journalist. I knew I always wanted to get back home to Seattle, but did not expect it to happen so fast. I applied for a reporter position with KING 5, primarily because I believe in the phrase “you miss 100 percent of the shots you don’t take.” So I took my shot at getting to KING 5, and here I am. I want to share stories that normally aren’t told – we all know the typical news structure – but I’m here to do that differently. I hope my personality comes through in every story I tell, and I’m always listening. I want to hear you, understand you and tell your story the way you envision it should be told. So never hesitate to contact me with a tip, a suggestion and yes, even a critique (nobody’s perfect!). On a more personal side, I’m a big sports fan and am still patiently waiting for the Seattle Sonics to return. I’ll be the first in line for tickets, even if I have to call in from work (sorry bosses!). Seahawks are my squad as well, and I’m enjoying the run we’ve been on after years of ... stress to say the least. Mariners too! I have yet to go to a Sounders match, but I’m hoping to fix that ASAP and then come update my bio to tell you all about it. I like to pretend I’m a chef, and I am a big fan of animals, roller coasters and tacos. There’s much more to me, but this bio is getting wordy enough so hit me up on the social lines and lets chat!